“I should have known you’d be as wet as her,” Kate said, handing him a towel from the linen closet. “You call splashing water all over the bathroom living?” Kate had her doubts. But she knew Sarah had fun and managed to get clean. So it was a win-win. Just not her type. Kate glanced over at Sarah, all clean from her bath, thumb in her mouth and leaning against Spencer’s chest. It looked like her eyes were getting heavy. By the time Spencer got to the last page of the book he was reading, she was asleep on his lap. Kate wondered if she would like to sleep in his lap, and it surprised her that she probably would. Maybe he would read to her. Then in the next instant, she felt guilty for thinking about it. What was wrong with her anyway? “Thanks, Spencer. You’ve been a big help.” Her voice sounded tired. Kate’s eyes almost popped out of her head. How did he do that—had he read her thoughts? She looked at him to see if he was serious. She nodded, the thought of him holding her and reading aloud made her shiver. 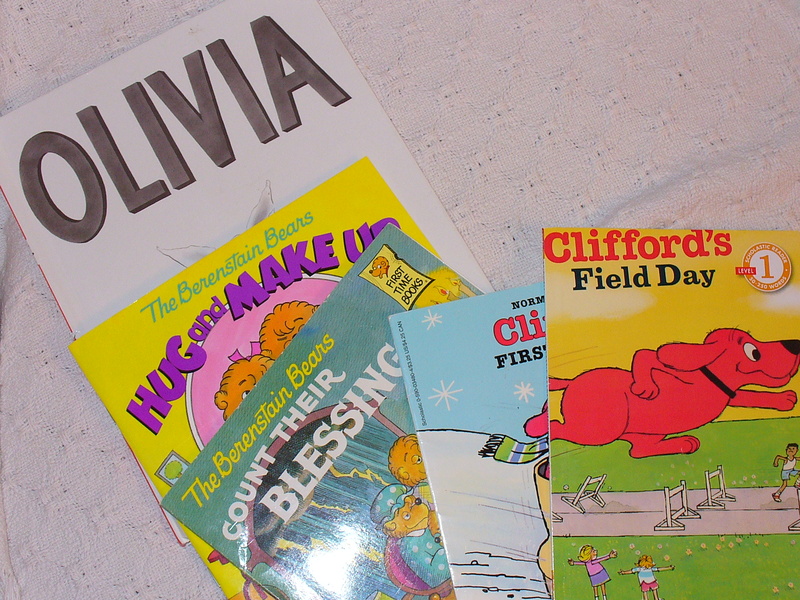 “Olivia, Berenstain Bears or Clifford?” Spencer teased, holding up the picture books. “How about some Patterson or Grisham?” She pointed to a higher shelf. Spencer walked over to the shelf she indicated. “How about some poetry?” He perused her shelves on her entertainment center. “If you like.” She was getting nervous. She watched Spencer flip through her poetry book to a selection he chose. He came to sit next to her and put his arm around her. She felt a spark and snuggled closer. Kate said no and sipped her own water and waiting for him to come back. She was enjoying the pampering if she admitted it. Maybe it wasn’t so bad to lean on someone once in a while. Especially as someone as kind-hearted and selfless as Spencer.